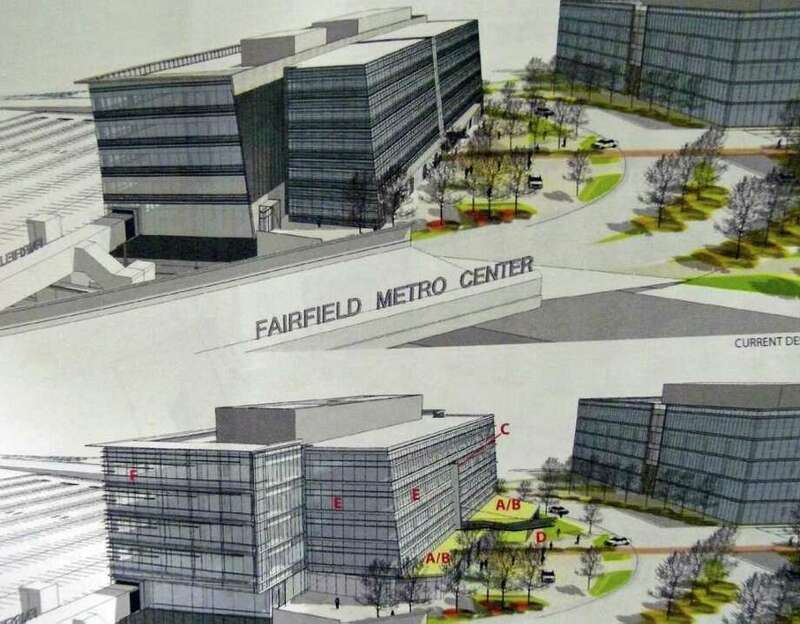 The Town Plan and Zoning Commission added an extra stop to plans to modify the Concourse building proposed by a private developer at the Fairfield Metro railroad station complex. While Assistant Planning Director James Wendt described the modifications to the plans as minor, the commissioners Tuesday night said they are not comfortable signing off on administrative approval for the changes, without being able to question the developer about the modified plans for the Concourse, which Blackrock Realty has said will include a waiting room and restrooms for rail passengers. Instead, the panel voted to hold a public hearing at a date to be determined. Wendt explained the modifications will not change the total square footage of the Metro Center project. Twice before, in 2005 and 2007, the TPZ deemed changes proposed by Blackrock were consistent with the original permit for the project and did not require a hearing. The only commissioner who was a member of the TPZ in 2005 when the permit was approved is Vice Chairman Seth Baratz, but it was Baratz who suggested a public hearing. "It's a fairly complex application to approve in five minutes," Baratz said. "Our commission hasn't weighed in on it." Wendt said the modifications include a 3,700-square-foot increase at the lobby level of the building, and reducing the height of the atrium, originally planned to rise through the building's entire height. About 15,000 square feet of space would be recaptured by moving the loading dock to another side of the structure. The Concourse would be the first building constructed at the site off lower Black Rock Turnpike by the private developer. "It basically ends up with 19,461 square feet more" at the Concourse building, which would require downsizing an envisioned "building four" at the site by an equal amount, Wendt said. Baratz, in justifying a hearing on the proposed changes, said the commission wouldn't approve a new 19,000-square-foot building without analyzing it. "It's the first building that's going to be built" for the private segment of the Fairfield Metro complex, he said. "It may be the only building going to be built. What are the amenities? Where are the bathrooms going to be"
A hearing, Commissioner Matthew Wagner said, would provide the public with an opportunity to hear the presentation as well and ask questions about the plans. Wagner said he wouldn't know if he felt the modifications are minor until he hears from the applicant about things like the traffic flow generated by use of the building. "A lot of that description was handled five years ago," Planning Director Joseph Devonshuk, adding that if TPZ members felt the changes were extensive, they could require a presentation, but questioned whether it would be proper "to ask them to revisit the entire project." Wagner said a new presentation on the entire project is not needed, but wants Blackrock Realty to "substantiate why a new hearing from soup to nuts is not necessary." "We might have some input into what the change is, or should be," Baratz said. "The Concourse building is anxiously awaited. I think for us to ask a few questions would be a good thing." Devonshuk said any comments or questions from the public would have to limited to the changes proposed, not the entire project. "There are still a lot of people out there who have other issues," he said. Though he voted with his fellow commissioners, Douglas Soutar questioned whether a presentation and hearing are necessary. "The vice chairman was on the commission at the time," said Commissioner James Kennelly. "He feels his comfort level would be increased, and I think it's incumbent upon the rest of the commission to support him."